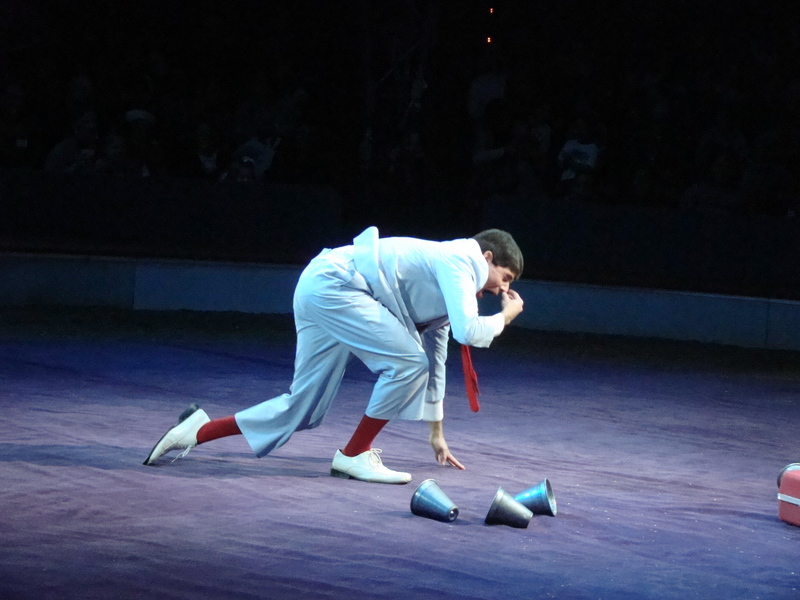 The Big Apple Circus is played out under the intimacy of one tent-also known as the BIG TOP. Compared to a Broadway musical or a Hollywood blockbuster the circus is such a rough and eclectic mixture of pageantry & parade. After having watched the PBS documentary ‘CIRCUS’, I was smitten, plus, I love to see how people do their work. So, my 7 year old pal and I caught an early evening show and we both agreed; the aerialists is mind blowing and the audacity of a clown groping for applause and then savoring it inside a box is a heartwarming show stopper. This business of kidding around is all so precise and it takes a curious breed of performer to transform a parking lot into a show.